This was by far the biggest news of the day, and quite frankly, with the amount of press that it has gotten in less than 24 hours, there was little point for me to write my own blog post…again. So, I collected a bunch of articles that I think people wouldn’t mind reading, and threw them all in a blog post. Enjoy. 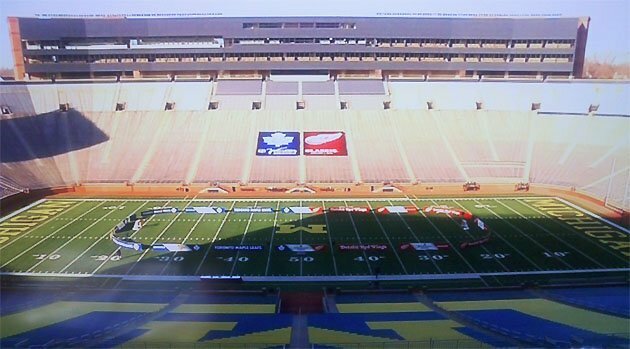 This entry was posted in NHL and tagged Big Chill, big house, brian burke, Mike Babcock, NHL, Pavel Datsyuk, Toronto Maple Leafs, University Of Michigan, Winter Classic. Bookmark the permalink. Thank you for putting all these articles in one post. I have been pretty interested in the Winter Classic but since everyone is talking about it, I read a lot of the same things. So its real convenient to be able to see all the articles you think are worth reading all in one spot. It makes it a lot simpler for me! So thank you!